Is the Empire rehabilitating the notorious Mullah Omar? Amazing stuff. First, there was the information that the Hamid Karzai had invited Mullah Omar back to Afghanistan (which he probably never left anyway, but we know what he meant) and now it’s the US Deputy Assistant Secretary of State in the Bureau of South and Central Asian Affairs Patrick S. Moon who is quoted as saying that Omar would be taken off the US list of sought terrorists. Yep, that’s right. He is the guy whose refusal to hand over Bin Laden was used as a pretext by the USA to attack and invade Afghanistan. That’s the same Mullah Omar who was given the title of “Commander of the Faithful” of the “Islamic Emirate of Afghanistan”. He is the same Mullah Omar who is a long time and very close friend of Osama Bin Laden and who even married Bin Laden’s eldest daughter. In fact, Bin Laden generously financed Mullah Omar’s struggle for power. One could say that the two are more then friends or relatives – they are the very embodiment of Wahabi terrorism in the face of al-Qaeda. 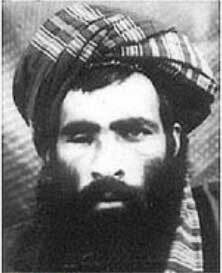 And now Mullah Omar is generously taken off the list of bad guys. How to spin it indeed. I guess they’ll just briefly mention it once and then kick down the memory hole. Its not like Fox news pundits will discuss the significance of this and point out the irony to their audience. Besides, we’ve **always** been at war with Asiana. That is *exactly* what I was thinking when I wrote this piece! It is amazing and totally Orwellian (not to mention disgusting) how the Neocons are now courting the Taliban (again). On plus side, it seems they have come to reach some modus vivendi with the Taliban and are looking to exit Afghanistan as soon as is feasible. Better late than never. @aa:On plus side, it seems they have come to reach some modus vivendi with the Taliban and are looking to exit Afghanistan as soon as is feasible. Better late than never. I am not sure that this is a desirable outcome and I will probably write a short piece explaining my reasons as soon as I find some free time. I think it fit a pattern. The neocons would like to eliminate the strongest obstacle to U.S./Israeli power. That happens to be Iran, not the Taliban. They are happy to make common cause with the most extreme of Sunni radicals if it can hurt Iran. I mean, they were happy to help these same people against the USSR, why not Iran? Looking forward for your opinions. Saker, thank you so much for the time you take writing here. It is not the first time something like this ever happened. Remember the KLA was also considered a terrorist organization by the US, and soon became an ally against the Serbian “genocide” in Kosovo. Lysander is right: Bush helped Iran a lot by eliminating two of the most important enemies of that country, which were Saddam Hussein and the Taliban. “The enemy of our enemy is our friend” has always been the motto of US foreign policy since the Cold War, so this is not surprising. Amasing. I had never heard that Taleban had been looking for negotiations. And I always thought that loosing side normally talks from a position of a loosing side. Their immortal arrogance, and inability to learn from other’s mistakes is just amazing. The Russians can sleep sound.